One of the best things you can do to make the process of selling a home faster and easier is to “stage” it. Staging a home means making certain preparations and aesthetic decisions that make it appeal more to potential buyers. From decor to organization to scent and beyond, here is our handy guide to staging your home for sale. Staging a home is all about helping a prospective buyer imagine how great their life will be in the home should they choose it. The more roomy and open you make your home when they’re looking through it, the more that buyer will be able to imagine themselves and their things in the space. More often than not the best thing you can do when staging your home is take a lot of things out of it. Look at your furniture and only leave what’s absolutely necessary for it to look like a home. Remove all sources of clutter and your house will seem cleaner, cooler, and more sellable. One thing you might not notice until you plan on staging your own home is that many homes for sale have particularly warm and inviting lighting. Paying special attention to the lights in your home can make a big difference. Here's a good rule of thumb: go for 100 watts of light for every 50 square feet of space, with a focus on soft and natural light. No, seriously! Olfactory memories are very powerful. When someone comes to your home and smells fresh flowers or freshly baked cookies, they’ll be more likely to remember it and come back. The more often they come back, the more likely they are to make a purchase. As far as color palettes are concerned, neutrals like greys and tans tend to be more inviting than other, brighter colors. 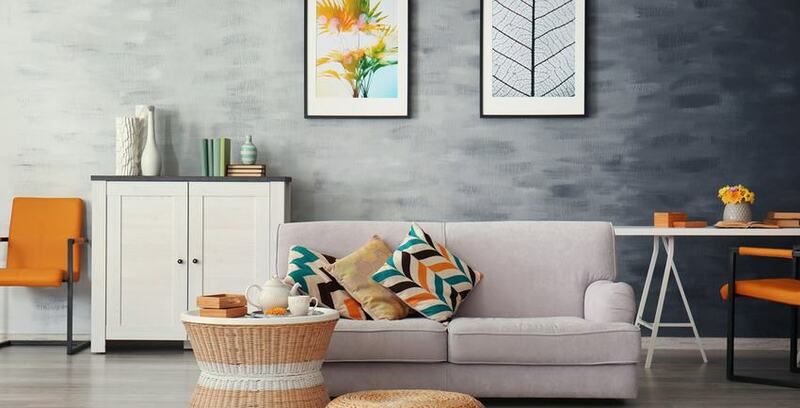 You can add accents in color to add personality, but the more neutral you stay with the home’s color palette, the easier it is for people viewing it to (once again) imagine it as their own. Following these tips when staging your home will not only make it more accessible and appealing to potential buyers, it’ll make it easier to move out as well! When it comes to packing up that extra clutter, Storage Direct has everything you need to get it done right.